If you commonly get allergies, you know that they can get rather miserable at times. When you live in a humid climate, there are many triggers for these things—dust mites, mold, mildew, and seasonal allergies. If you find that you are suffering a lot, a good dehumidifier can help–in more ways than one. 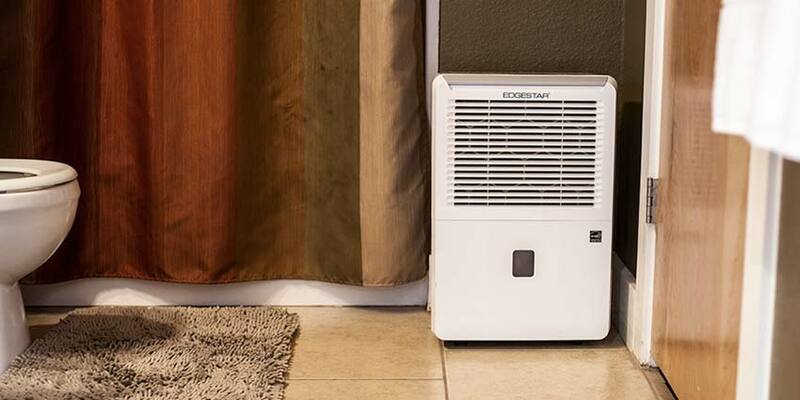 Here are some benefits of a dehumidifier and how to choose the right one for you. 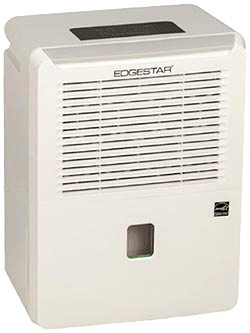 You may also want to consider a dehumidifier if you live in an apartment building, since mold and mildew spores can travel through ventilation systems, and can build up in the walls between apartments. Even if you keep your living area clean, these allergens from other areas of the building can be harmful to yours and your family’s health. 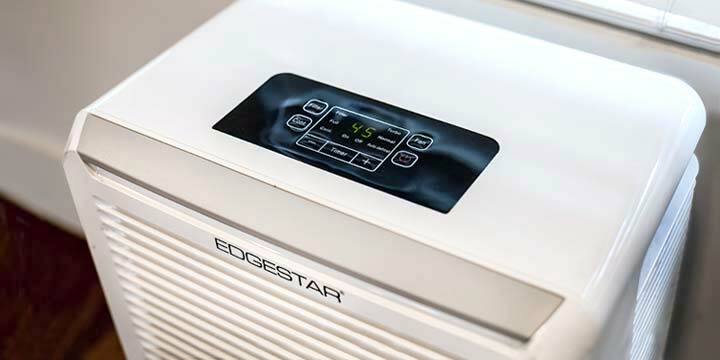 There are several different options when it comes to dehumidifiers, and the one you choose depends on the space in which you plan to use it, as well as the humidity levels. There are small capacity models for a single small room, large capacity models for larger areas such as a large room, basement, or an apartment, and there are whole-house models available as well if you live in a very humid climate, you suffer from significant allergies, or you have a large home. 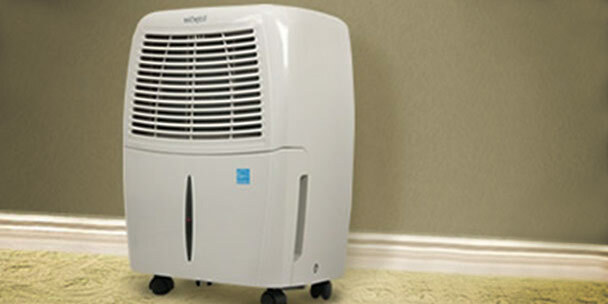 For more specific and unique needs, consider purchasing a dehumidifier with special features. Getting a dehumidifier can help you live a healthier, happier life, so if you are suffering from allergies and other symptoms, the answer to the question of whether you should own a dehumidifier is probably yes. Find out more about the different models and options available, and see which one will fit your budget and help you get clean, healthy air in your home. I have only had the Danby dehumidifier running for about a month, but so far so good. It is successfully keeping the humidity in my basement in the 50’s (50 is ideal), and preventing mold and my tools from rusting. This dehimidifier is designed to run constantly, it doesn’t auto turn on and off. It has 2 fan speeds high and low and is relatively quiet, I can’t hear it at all while I am on the floor above, and it isn’t that noticeable while I am in the basement. It can be configured to collect water in the tray or drain the water through an included hose. I currently have it draining into my washing machine drain, set it and forget it. Hello I was really wanting to know if it changed the cost of your electric bill? 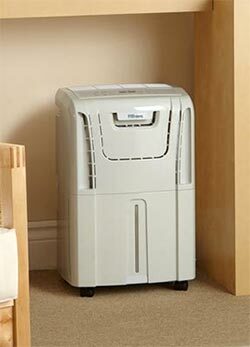 Good article about dehumidifiers. I have one in my closet because it tends to get a lot of humidity in fliroda. I have allergies and live in a very humid climate. Recently, my house had a serious mold problem, so after a deep clean and ozone treatment to kill all the mold, followed by ventilating, I have now installed two dehumidifiers and an IQ Air purifier. My question is, how do I ventilate? I feel like if I leave the windows open, I’m just letting in more moist, allergen-filled air, but if they are all closed, how am I getting fresh air and oxygen into my house? Any tips? You cannot run out of oxygen if you keep the windows and doors closed, ever. That doesn’t even happen inside cars that you drive to longer distances with closed windows. Unless you’ve air-locked your house, this won’t be an issue. This is an intresting article.. Do you think we need a dehumidifier for our home if we have a little money? what would be the best alternative method for dehumidiers? This is really a great post. It clears a lot why people need a dehumidifier. Thanks for sharing. My husband has had a dry cough for 2 weeks now. Are we suckling to much moisture out of the air for him to heal? A good dehumidifier will have a control that measures the water in the air. If it goes below 50% it will shut off. I live in Louisiana and our attic gets no ventilation and the summer’s here have absurd humidity. Is this something to buy for that particular area in our house? Having no ventilation is the best case to have a dehumidifier since there will be very few places from where humid air will get to the attic. When I think of attics, they are generally with slanting roofs and have less volume compared to other rooms around the house which means your dehumidifier has to do less work. A 30 pint dehumidifier would do a very good job of drying out the air. But please bear in mind the while dehumidifiers take out moisture, the temperature of dry air coming out is closer to 100F (or more). I live in Alabama where the humidity and temperatures in summer are just as bad and what I generally do is that I run the unit for few hours in my basement when I am not using that room, and then turn it off when I am in there. where do you leave that power is 1/2 price after 5pm? Use duct tape to secure if necessary. Cover exposed soil in house plants – The water will evaporate if not covered, increasing humidity and causing you to need to water more often. Air conditioning – Set your AC to a “dry” setting to remove moisture but not cool. If I lend my dehumidifier to a neighbour who has really high RH levels in his basement apartment, and has had a bit of mold in the past, will mold spores get on the filter, or anywhere else on my dehumidifier? I don’t want to risk bringing mold back to my house! Am I being paranoid? He is a friend and cannot afford to buy a dehumidifier, since I want to help him out. Please advise. THANK YOU. Yeah, I’d like to know where you live, also! 1/2 price power after 5pm? Cool! My home had elevated moles in my guest room and in my air-conditioning vents where the spores are blowing out on me. I am starting to feel sick with allergies I would like to know is what can I do to clean the mold to get rid of it. If it is inside the walls that is a problem. If it is just on the surface Spry on pure white vinegar. Leave it on for about half and hour or a bit less, then wash it off. Vinegar kills mold. It can be used to clean floors anything. When i wash my walls I use about 1/2cup of vinegar in pail of water and also add some Dawn dish soap. A squirt or two. You don’t have to rinse it off. That can be used for floors as well. In sept & Nov. our dehumidifier produced 2 30 qt buckets. Now it is not producing a bucket a day. How do I know when to use it. Is this a seasonal thing. The ideal humidity which is shown in an electronic window on my Frigidaire, dehumidifier, is 45-50. I love how the machine has improved the air quality in my home. Sounds to me like it’s not working correctly, unless you live in a desert community. I now live in South Carolina and the humidity and heat are far different than the West Coast. My dog and I cannot function…we cannot stay awake because the humidity is sucking up the oxygen. My dog is small and I am 72 yrs. young…My house has lots of trees to keep it cool, but we cannot get enough air to move even tho it is cooler. This is our first summer in the South…What are the chances we’ll be able to function for at least 1 season with the a/c on and the 30 gal. dehumidifier.??? would deep breathing exercises help? In summer the temperature touches above 40 C. Does it help to reduce room temperature. We have a very wet basement.If we keep our dehumidifier running ,will it help to rid the basement of the standing water? ?